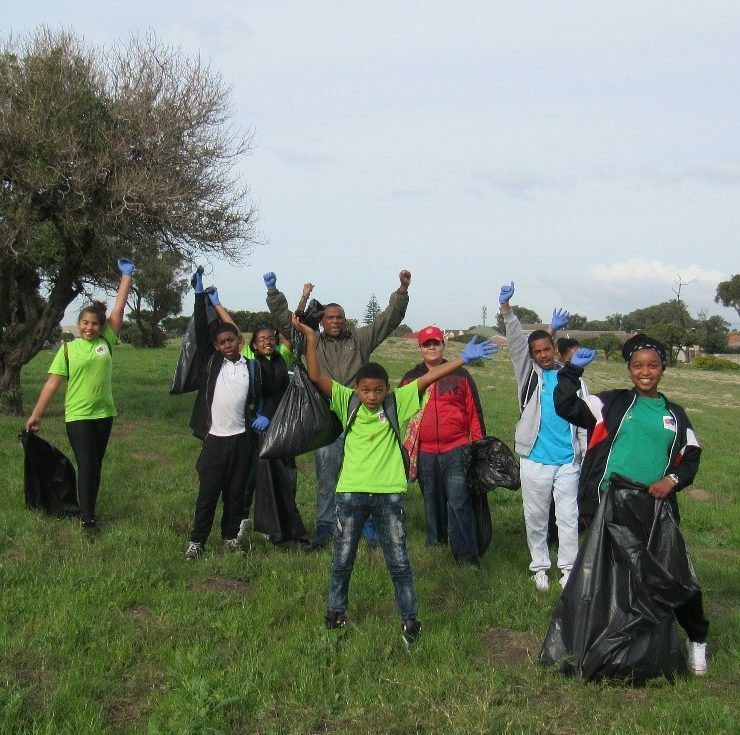 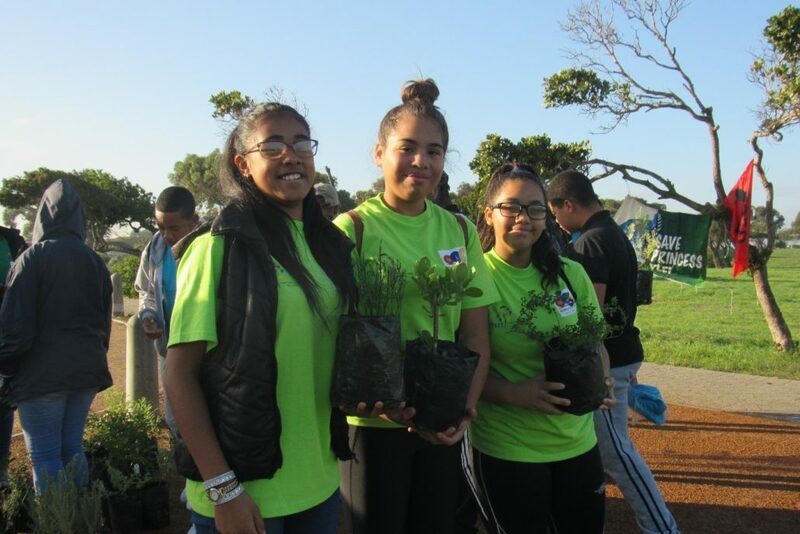 Community was at the forefront at Princess Vlei on Saturday, 16 June 2018, in a collaborative project between the Princess Vlei Forum and the Cape Town Environmental Education Trust (CTEET). The surrounding community took time to give a little back by planting a Garden of Healing which was started by a CTEET supported Eco-School, Floreat Primary School. The youth from CTEET’s Conservation Leadership Programme, Project 90 by 2030’s You Lead Programme, and the Leisure Education Trust assisted with laying the pathway and planting indigenous Dune Strandveld flora, in the design of a Fibonacci spiral to symbolise eternal life. 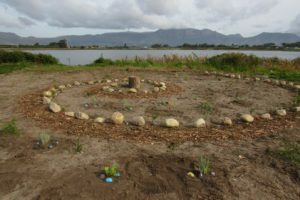 The Dune Strandveld flora holds significant value for the Khoi people and other South African groups, particularly for medicinal and spiritual uses. 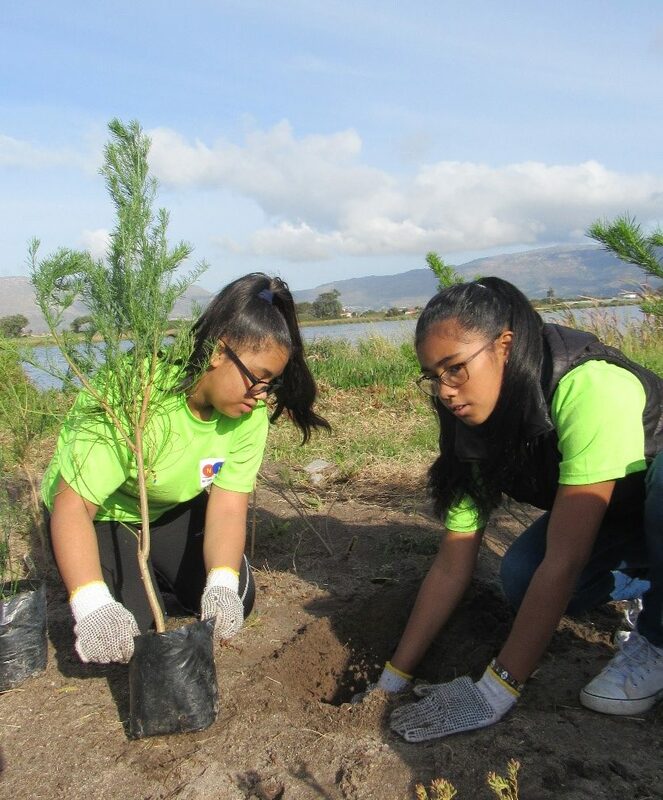 The space will allow the community to experience their natural and cultural heritage and will bring about awareness for rehabilitation of the degraded wetland and its surrounds. The day finished off with a clean-up of all debris and litter in the area, bringing to light the UN World Environment Day theme, “Beating Plastic Pollution”, and awareness to July as “Plastic-Free” Month.